Your brakes are a vital part of your drive and control over your vehicle. That’s why it’s important that you make sure that your brakes are always in good shape. At Speedcraft Nissan, our service drive is prepared to offer whatever of care you need for your Nissan. Whether you need your brakes replaced or just want to have them checked, we’re here to help. So if you’re in Rhode Island and are looking for assistance for the brakes on your Nissan, we encourage you to stop by Speedcraft, where our expertly trained staff is capable of offering you quick and affordable service. If you’re in need of a brake replacement or other service, simply schedule an appointment and our fast-working staff, we can get you in and out quickly. Wearing your brakes down can be very dangerous. Preventing a serious accident due to poor-functioning brakes is as easy as scheduling an appointment to have your brakes replaced. 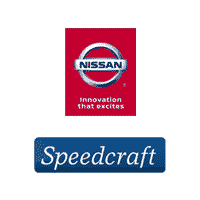 Speedcraft Nissan can set you up with new brakes that work seamlessly with for your vehicle. If you’re hearing a grinding or other strange noises when you apply your brakes, this is a good indication that your brakes are in need of service.